I was generously asked by blog writer Michael of “The Pantsless Bear” blog to provide my input on several health and wellness-related topics. I have included the questions and responses below for you to read through. I am incredibly grateful that Michael has asked me to share my input on these topics. If you have any additional questions, or would like to conduct and interview with me for your blog, please comment below. Or, send me an email at angelajoyhealthfitness@gmail.com. I look forward to hearing from you! A: Living in the moment is a feeling that many of us have lost touch with. As a result of the technology and quickly moving world that we live in, our minds are usually off somewhere else while we are currently engaged in a task. Many of us do not even realize this is happening. In an effort to encourage this behavior, society has idolized multitasking. We often hear others state how they were able to complete three tasks at once in a matter of only several minutes. This is great, but did you complete that task to the best of your ability? Do you even remember actually completing the task? Were you present during the task, or absent focusing on the next task at hand? Multi-tasking is causing us to spread ourselves thin and lose sight of what is important in life. An example to better explain my statement is when you see someone photographing a moment rather than experiencing it. My best advice for those seeking to become more present in their lives is to first recognize what it means to be present. Understand the concept of being present and why it is important. Then you can begin to recognize when you are not present. Q: Whenever I eat cake at work I feel awful afterwards. Why do we seem to ‘crash’ after eating heavily refined foods such as cake and pasta? A: When we eat refined foods that are high in sugar and lacking in nutrients our bodies go into a bit of a shock, which is followed by a low. This process is better known as hypoglycemina. Foods that contain fiber and nutrition take much longer to be digested and absorbed into the body. Refined foods that are high in sugar do not contain much, other than sugar. Therefore they are broken down and absorbed by the body very quickly. This quick absorption process causes the blood sugar to spike up high – your hormones love it, your taste buds love it, and you feel great. Then the blood sugar drops. You feel tired, sluggish and unhappy. This is due to the jolt that the body just experienced leaving your hormones completely out of whack and your body craving more sugar. In an effort to prevent this from occurring we should make every effort to consume foods that serve our body’s needs, and are made up of nutrition and fiber. Our bodies need food that contains nutritional value, vitamins, minerals and fiber to allow them to function at peak levels . Although most of us do not like to believe this; food was created to serve our body, not just our taste buds. The food we eat becomes our cells, organs, skin, hair, and nails. If we want strong organs, blood, bones, hair and nails we must consume foods that support their functioning, not deprave them of what they need – which is what highly refined, sugar-filled foods do. 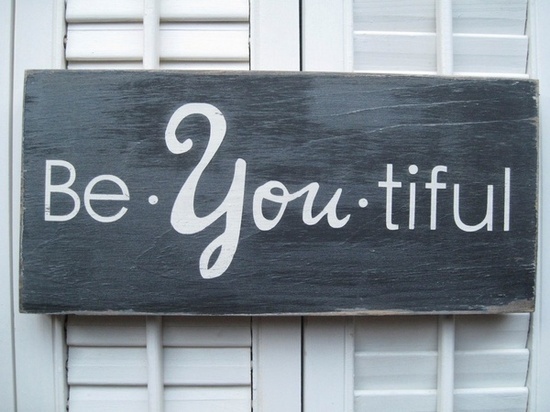 Loving yourself is waking up in the morning, staring in the mirror, and smiling at the person staring back at you. 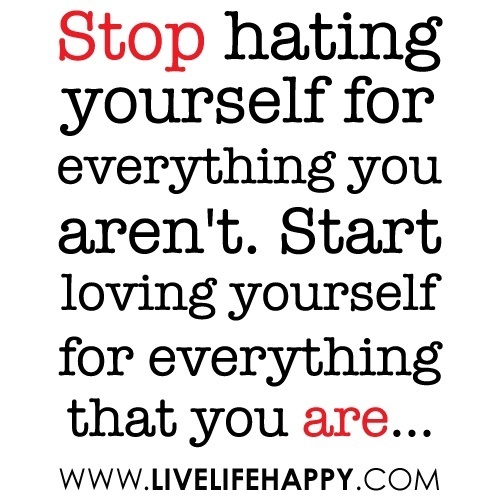 This may sound absurd, and even impossible for some, but by all means loving yourself is possible! We are all wonderful and amazing human beings who were created for a specific reason and purpose. Yes, YOU were created for a very special purpose. – Your nerve impulses travel at a speed of 249 miles per hour. – Your heart beats 100,000 times every day – which is 30 million times per year! – Your blood travels 60,000 miles through the body every day! – Your lungs inhale two million liters of air every day – without you ever stopping to think about it. – One square inch of your hand contains nine feet of blood vessels, 600 pain sensors, 9,000 serve ending, 36 heat sensors and 75 pressure sensors. Still think you are unimportant, useless, ugly, boring, uninteresting? I do not think so. YOU, not anyone else, was created at the specific moment that your father’s sperm entered your mother’s egg. This is not by chance. So what isn’t to love? Your body is such a gift. Cherish your gift, love it, feed it and move it – and in return it will take care of you. Q: Many of our married friends are 30 pushing 70. One unnamed 32 year old individual looks rather like Prince Phillip (the old Prince Phillip, not the young one). People seem to get settled into married life and find themselves on the couch every night eating mountains of choc-coated almonds. Why do you think some people in long term relationships discard health and wellbeing? A: Regardless of age people find themselves becoming complacent. They have all that they need to get by, therefore they choose to live their current life (regardless of the monotony and unhappiness that they may be feeling) because they are afraid of change, they don’t know how to make a change, or they are so tired and stressed that they can’t even bear the thought of doing something different. The biggest of these three that I have mentioned, I truly believe, is stress. We are under constant stress from all areas of our lives. When it comes time to think about making changes or doing something out of the ordinary we are afraid this will create more work which we cannot handle (or, feel like we cannot handle because we are so overwhelmed). This is better known as burnout. Burnout is felt in all aspects of our life. We feel so overwhelmed that we do not see how we could possible find the time to exercise, eat healthy, make dinner, spend quality time with friends and family, or do anything else that supports our well-being. The truth of the matter is; you have time for whatever you WANT to make time for. What do you consider your priorities in life? These are the things that get done. If health and wellness is not a priority in your life it will be ignored and you will spend valuable years of your life sitting on a couch eating ice cream. Every day YOU choose how you will spend your day. 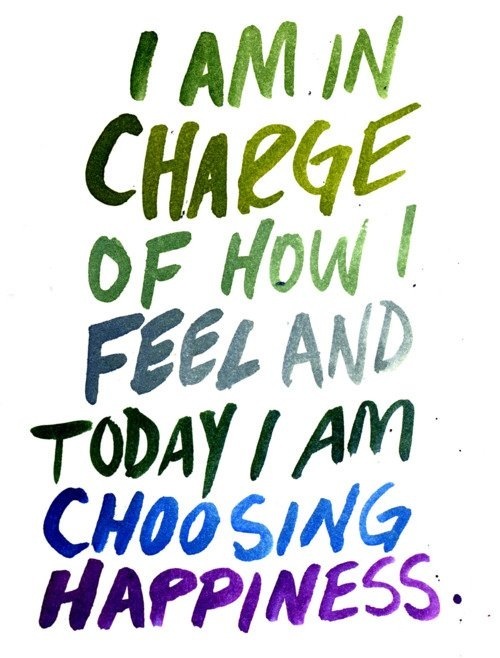 Every day you have a choice. If you want to change, you have to truly want to make that change. If you make change a priority, you will have time for it. Q: As a fitness and wellbeing writer, what are your thoughts on the various illnesses that affect obese people, such as irritable bowel syndrome. Are refined foods really responsible for the rise in these illnesses? A: Irritable bowel syndrome is one of the many digestive issues that people are facing all over the world. The health of our digestive system is one of the most important components of our bodies. When our digestive system is not functioning properly our entire body will begin to function improperly – because it is not able to fully absorb and digest the nutrients our body needs correctly. While there are other areas of life that also impact our health and digestion (stress, lifestyle, environmental exposures, and much more) diet and exercise is a large piece to the puzzle. If someone is facing a digestive issue the first thing they should do is seek guidance to improve the health of their gut through a nutrient-rich diet, filled with healthy gut bacteria (probiotics). Probiotics offer the body healthy bacteria which supports digestive health. Anyone facing any type of digestive issue should consider a healthy dose of probiotics which can be consumed through their food and through supplements. Q: So I tried to lose weight through long distance walking, but found it utterly useless and not tiresome at all. In fact, I came to the realisation that the forced marching of POW’s in WWII wouldn’t have been nearly as traumatic as the so called ‘survivors’ say it was. So why is a 20-30 minute run is so much more beneficial to a 4 hour walk? A: When the body walks at a steady, comfortable pace the metabolic system is not really altered. When the body picks up the pace for a jog the heart pumps faster, the lungs pump more oxygen, healthy hormones are released, the body sweats out toxins, and much more. This process supports weight loss. A steady state walk will strengthen the leg’s slow twitch muscle fibers while slightly improving the cardiorespiratory system. The same benefits are possible when walking, although on a much smaller scale that may not be noticeable. If you are hoping to lose weight try adding in job intervals. Pick up the pace for only a few seconds at a time throughout the walk. Get the heart rate up and push yourself to the point that you want to stop. Try to continue these bursts of fast walking or jogging throughout your walk, and each time you go for a walk try to jog a little longer. Over time you will build up your cardiorespiratory ability, your heart will begin pumping more blood, happy hormones will be released, you will work up a little sweat, and you will build up strength. Intervals will help support weight loss. Steady state exercise is nowhere as effective. Q: During long bike rides, I’ve often found myself ruminating on why certain friends didn’t show up to my birthday last year. Finally, when the exercise is done, I return home in a worse mood than when I left. Our minds can be chaotic, especially when the body is under great physical stress. So how does someone manage their thoughts while training? A: Try to focus on the positives! When we endure long bouts of exercise we have time to think. You can use this time to think about anything you would like. Your thoughts could be positive or negative. If you find yourself constantly thinking of negative thoughts this may be a sign to you that you have some negativity you are holding on to which is preventing you from being positive. Work through the negativity and make an effort to find the good. Find the good in the situation, the upside, the positive, the other side of the coin. Find a way to turn a bad situation into a good one. You are on a long ride, why not take the time to brainstorm. Believe it or not this is an incredibly healthy process. You are on the right track. Long bike rides are the perfect time to connect with your true self. Try to make the experience a positive one. Q: Okay, this is an important one. What can you tell us about the importance of gut bacteria for both physical health and mental wellbeing? A: As I mentioned earlier, our gut health is incredibly important for our overall health. Gut health is linked to our body’s functioning as well as our thoughts, actions and moods. The gut is commonly referred to as the second brain. When the gut is unhealthy, food is not properly digested, and food is not moving through quickly – our brain often times becomes foggy and slow moving as well, creating lethargy, lack of motivation and a drop in our mood. If you want to feel better, have more energy, and improve your mood and outlook on life, improve the health of your digestive system. This can be done by eating healthy WHOLE foods (vegetables, fruits, nuts, seeds, legumes) that have not been altered and no ingredients have been added to them. Try crowding in these fresh, whole foods in an effort to crowd out unhealthy, processed foods that were made in a factory. If the food was made in a factory and not from the ground, it will not support a healthy body and gut. Q: I particularly enjoyed your post ‘Your Guide to Nutrition Packed Foods’ and found that providing professional advice from a real physician to be invaluable. Many quacks on the internet provide ‘expert evidence,’ advising people that formulated ‘weight loss drinks’ and expensive vitamin pills are the key to lasting health. Is supplementation really necessary or can we get everything we need essential vegetables? A: For the most part we can get what we need from vegetables, fruit, nuts, seeds and legumes. However, based on the location you live and the foods you have access to, or the resources you have access to, it may be difficult to obtain all of the nutrients your body needs. For example, I live in New Jersey (in America) and during the winter it is very difficult for me to absorb the amount of vitamin D that I need. Therefore, I supplement this nutrient. I chose to supplement this nutrient because I know that I am deficient in it. I recommend that anyone interested in purchasing a supplement, first go to their doctor and request a full panel blood test to determine which nutrients they are deficient or low in. Request that your hormone levels are checked as well as all of your vitamin and mineral levels. Once you receive the results check to see what areas you are lacking. Once you learn what you are lacking make an effort to eat foods that are high in this nutrient – while also supplementing. Q: Finally, what is your philosophy on life? A: My philosophy is to live every single say with gratefulness. Everything that I do, say, or think is based on the notion that I am grateful to be alive, to have all that I was given, to do all that I can do, and to have achieved all that I have achieved. Every day is a miracle! If take the time to remember this we will begin to see the positive and wonderful aspects of our life, as well as the world around us. I also truly believe that everything happens for a reason and we were all created for a specific and divine purpose. Our mission in life is to discover that purpose and live it out to the best of our ability each day. Take a moment and ponder the thought; what is your purpose? What are your strengths? What do you enjoy doing? What brings you joy and fulfillment? I loved the opportunity to share with all of you. If you enjoyed my responses and would like to connect with me, please email me at angelajoyhealthfitness@gmail.com, follow my blog at www.angelajoyhealthfitness.com, or follow me on Facebook AngelaJoyHealth&Fitness. Please share your thoughts, reactions and feedback below. I look forward to hearing and connecting with you! It is a new year, which means a new you. A you who is not afraid of a challenge. This is the year. You are going to overcome your fears and accomplish your goals. You ARE going to complete a half marathon! The half marathon race has become one of the MOST popular events in the world – with hundreds of people completing the challenge every weekend. According to Competitor.com, the half marathon has been the fastest growing race distance in the U.S. for the past 12 consecutive years. “And it’s not showing signs of slowing down anytime soon,”Competitor.com writer Mario Fraioli stated. The Half Marathon; What is it Exactly? The half marathon race is a total of 13.1 miles. It is half of the full marathon distance, which is 26.2. Training for a half marathon should consist of about 3-4 runs per week, gradually increasing in mile distance throughout the training schedule. Based on each individual’s needs and time commitments, a training schedule is made up of different run types, times and distances – with a long run on the weekend. For those who want to improve their fitness and running abilities, cross training and resistance training can also be implemented. Spring is the perfect time to run in a half marathon and there are a ton available! If planning on running in a spring half marathon, February is the perfect month to start training. -Support and motivation along the way! To get started, or learn more, contact me at ajciroalo@gmail.com. I would LOVE to help you get started and achieve this exceptional goal! Believe in yourself, I believe in you. Let’s do this! Weighing ourselves is a common thing that we all likely do. We tend to weigh ourselves as we exit the bathroom, enter our bedrooms, or even just before we leave the house. Instead of placing the number in your mind, I am going to give you an alternative for ONE week. 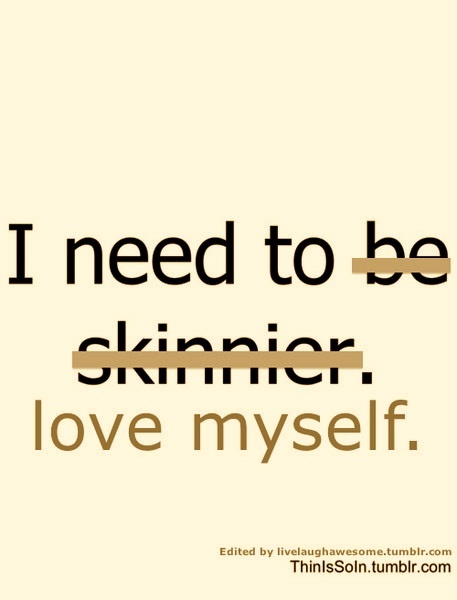 I am challenging you to go one full week without weighing yourself. Use this week to instead focus on the successes that you experienced (going to the gym, eating a banana instead of cookies, sleeping an extra hour, drinking several cups of water). Remove all negativity: Remove your thoughts about how many pounds you want to lose, the areas of your body you are unhappy with and, overall, any thing that brings you stress or unhappiness. Too often we place our focus on what we did not do, what we have done wrong or what we still need to do — instead of all of the wonderful things WE DID DO! These are all negative thoughts that poison the mind and prevent improvement. These thoughts weigh you down, bring you stress and aggravation, prevent you from being happy — and decrease you opportunity for success. 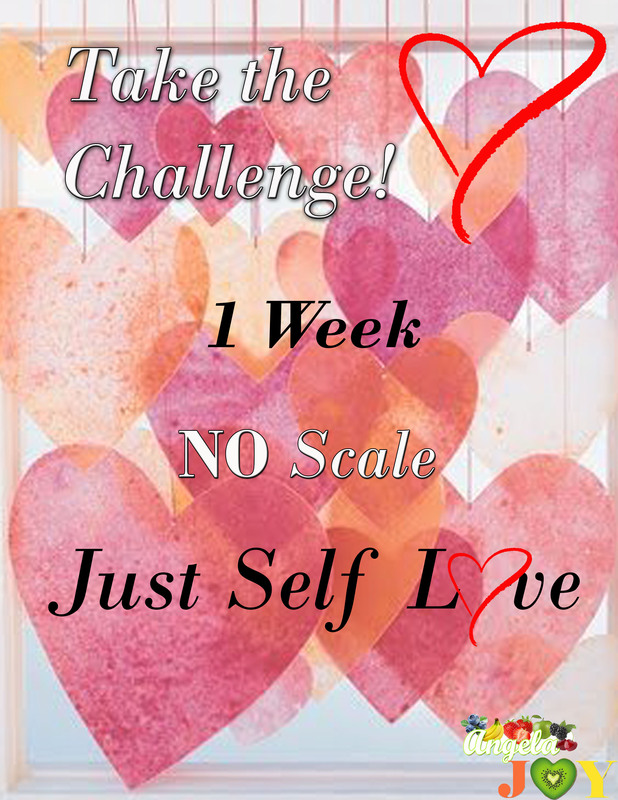 Therefore, use the next week to detox your negative thoughts (including the number on the scale) and instead begin taken steps to learn to love yourself. 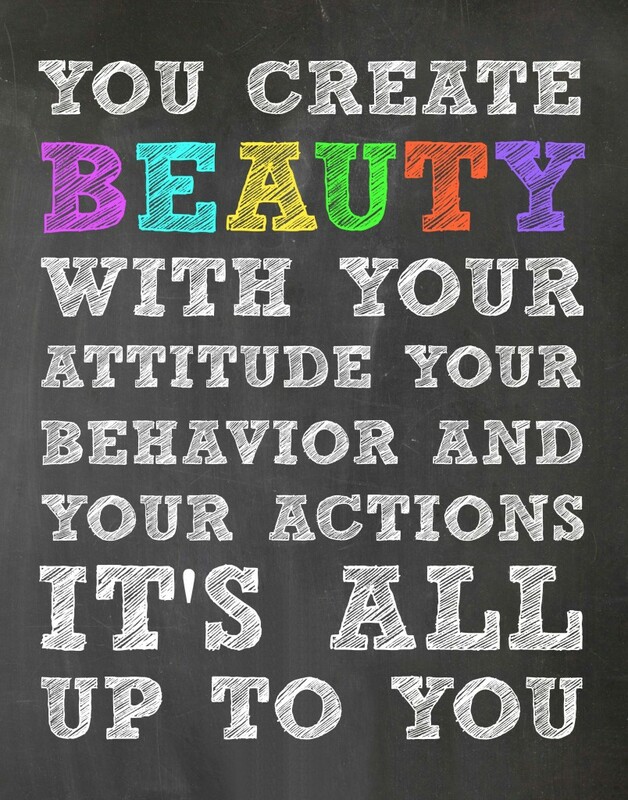 Those few minutes that you would have spent weighing yourself, you can instead look in the mirror and remind yourself of you beautiful or handsome you are. This sounds silly, but it is really nice to hear from yourself. 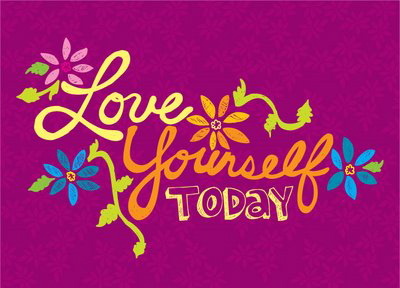 The more you tell yourself how much you truly do love yourself, the more you will believe it and then express it in your actions and behaviors. Loving yourself expresses confidence, which allows you to be positive, thus happier and overall successful in all that you do. Try this one week challenge and take note of the changes that you feel each day. You will be very surprised of how much this small change will impact your life!! Good luck with this exercise. Let me know how it works out. ❤ Wishing you love, joy and blessings! Does it promote productivity? Do you feel motivated? Each office has its own look and feel, depending on the type of profession, office space/location and person’s interest. What every office may need, regardless of its look and feel, is some needed organization along with a taste of positive reinforcement. The photo above is an example of my current desk/office space. All of the notes, paperwork, and books have been removed – only allowing items that I am using at the moment to remain. Items, books, and paper work that were previously placed on the desk have been removed and organized in folders. Now that my workspace is clear and organized, I feel refreshed and prepared to work. More often than not people do not take the time to clear their workspace – leaving scattered paper work, pens, notes and to-do lists. The result of dismissing time to organize your desk may lead to unproductivity, confusion, stress and aggravation – without you even realizing it. While organizing my new workspace I thought about different ways to decorate the area. Have you ever heard that if you surround yourself with good people you will become a good person? Well in deciding how to decorate the space I thought why not surround myself with encouraging and inspirational quotes? As a result I began researching some quotes that are important to me and began collecting them. Over time I acquired enough of them that I started printing them to place on my wall. 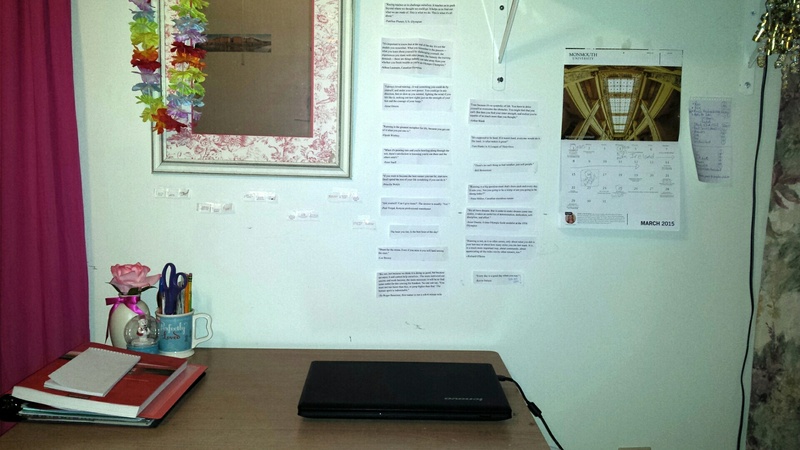 The photo above shows the quotes I have placed at my workspace, I also placed quotes and encouraging words all throughout my bedroom – therefore completely surrounding myself with encouragement in every direction. While placing these notes throughout my room I then decided to write down my weekly, yearly and life goals. I then taped my goals next to my calendar, mirror and next to my door. The goals are a constant reminder of the plans, dreams and hopes that I am working towards each day. This effort has been extremely beneficial for me. Each time that I feel down I subconscious read the notes in my room while getting dressed or putting on makeup – and my mood and perspective is automatically changed. I advise everyone, no matter how successful or not successful that you are to try this exercise. We all have goals and hopes in life and it is important to remember and work towards them each day!